Garage door technology has come a long way. As we are nearing the end of the year and looking forward to 2019, we have been thinking about how much today’s technology has improved everyday mechanisms. Christie Overhead Door has been installing and repairing garage doors in residential homes and commercial businesses since 1945. Automation has become standard for vehicle access gates and garage doors. Christie Overhead Door installs only the best motorized systems to guarantee superb quality and long lasting durability. Linear Access has a variety of control systems for you to choose. The most modern and impressive control being the spott™ smart home system. Spott™ smart home system connects to your home or business WiFi and is controlled via the SPOT app and interfaces with Z-Wave whole house automation. Z-Wave or spott™ provides you with peace of mind and access to your garage doors instantly. You’ll never have to wonder if you forgot to close the garage door again. You can let in the dog walker using remote access. When using your SPOTT app, you can also allow postal delivery workers access to your garage so that your parcels don’t get left out in the rain. 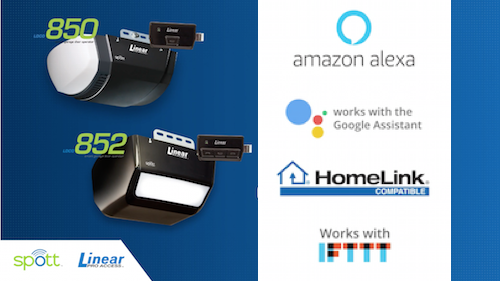 Set up real-time alert notifications for when your garage door is open so that you know when your children are home safely. Your overhead garage door can open as you arrive home and close when you leave, totally hands-free. Battery Backup for the times you lose electrical power. Door and gate monitor remote to control up to four gates and doors. Christie Overhead Door recommends that you schedule a yearly tune-up on your motorized garage door system. It’s important to balance and align the system as well as lubricate all moving parts. After all, it is the “largest moving part” attached to your house. Just like with your car or snow blower. A professional should provide a yearly service on garage doors and other machinery used on a regular or seasonal basis. 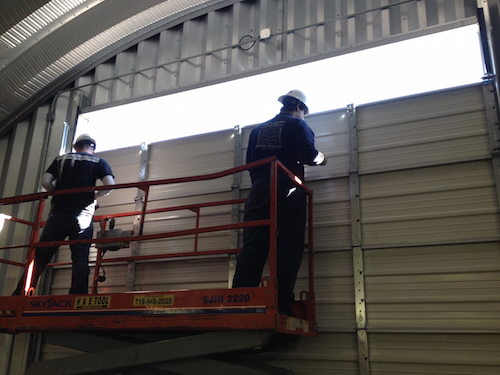 Whether you are looking to purchase a new garage door, motorized lifting system, or service your existing overhead garage door, turn to Christie Overhead Door for the best guidance. 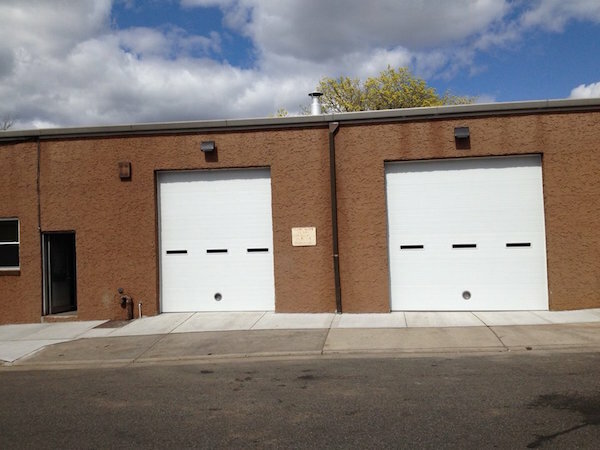 Contact Christie Overhead Door to discuss the different features, accessories, and motorized systems available. 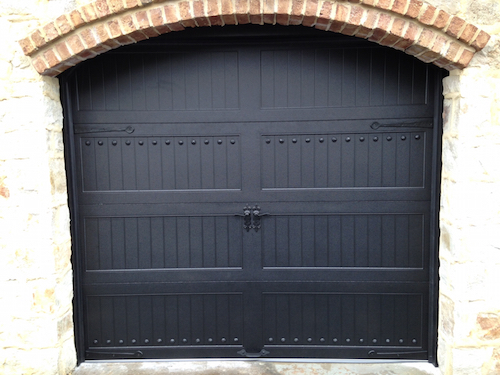 Wrought iron garage doors make a beautiful design statement in homes or commercial spaces. Christie Overhead Door has installed many iron doors with their exclusive faux wrought iron door designs in Brooklyn, New York City, Staten Island and Long Island. This past summer wrought iron garage doors have become extremely popular in the Northeast. Ornamental wrought iron garage doors are durable and anesthetically pleasing to the eye in residential or commercial settings. The Christie Overhead Door patented unique design allows you to enjoy the look and feel of wrought iron without the inherent cost and maintenance of actual iron. 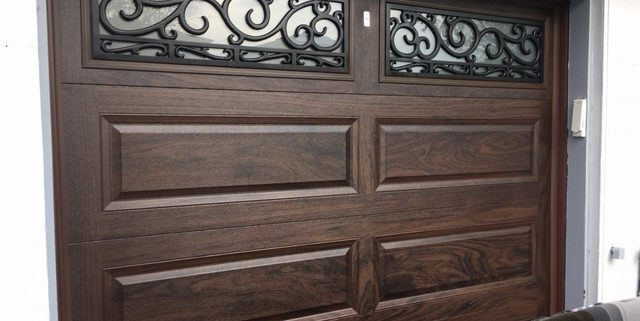 The use of faux iron on garage doors adds an architectural impact when combined with other materials featured on entry doors, railings, and more. All wrought iron garage doors are available in traditional or modern styles. Christie Overhead Door has patented two new ornamental wrought garage door designs in a new product line called Scorrimento. 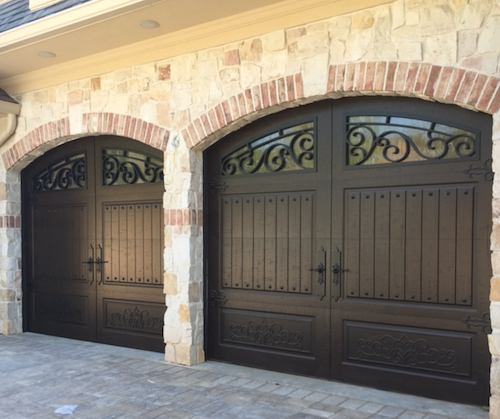 These two ornate designs are the epitome of beauty and creativity when it comes to unique garage doors. 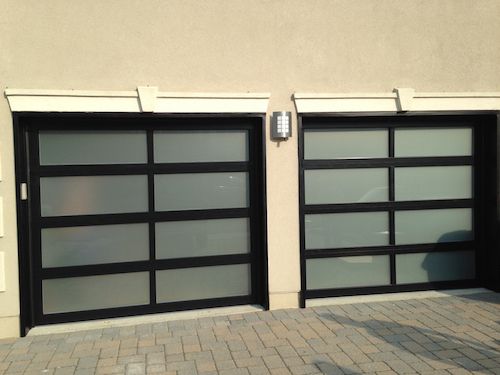 Custom iron garage doors add a touch of class and elegance to any home or business façade. Your garage doors can coordinate with the look of iron entry way gates and iron front doors without breaking the budget. Make a beautiful design statement on your façade with a structurally sound an appealing custom faux wrought iron garage door. 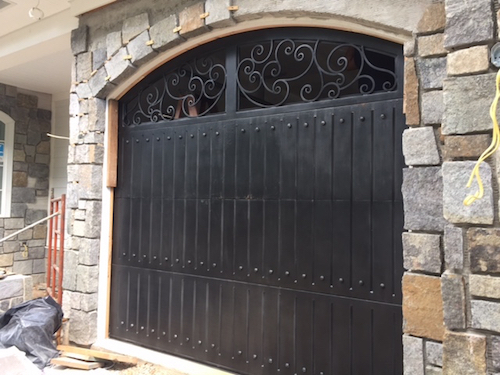 Wrought iron garage doors weigh up to 8 times more than a door made with wood, aluminum, or steel, making them labor intensive to install and require continual maintenance. The Christie Overhead patented ornamental designs are permanently bonded over glass at the top of the door for a striking design, and guaranteed to never ever rust. Handles, locks and weather-stripping are not compromised with the unique use of these patented wrought iron garage doors. Show your sense of style to neighbors, guests and clients with a new garage door built with class, sophistication and quality. Christie Overhead Doors provides free estimates on all types of garage doors. A garage door expert is available to answer any questions you may have or ask a garage door installation specialist to design your new ornamental iron garage door. Contact Christie Overhead Door to learn more. Every year Christie Overhead Door shares June Garage Door Safety Month tips. It’s easy to take your garage door for granted when it’s working fine. There are a few garage door safety tips we would like to share to avoid any injury, mishaps or security issues. Garage doors generally last 15 to 20 years when they are taken care of regularly. Sometimes regular garage door repairs or maintenance are overlooked which can cause potential problems. 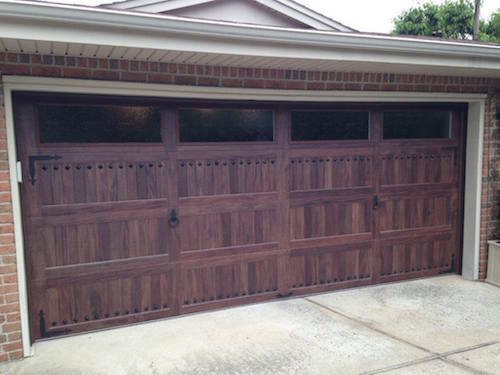 Avoid unnecessary risks by keeping your garage doors oiled at least twice a year. Older garage doors can come off track easily if they are not being cared for properly. Keep debris away from your garage door opening inside and outside the garage. We tend to use our garages for storage, sometimes creating clutter on shelves or in storage systems. Do a check of your garage items to make sure content on shelves or in cabinets are secure. Harsh wind and weather can cause unsecured outdoor items to damage your garage doors. 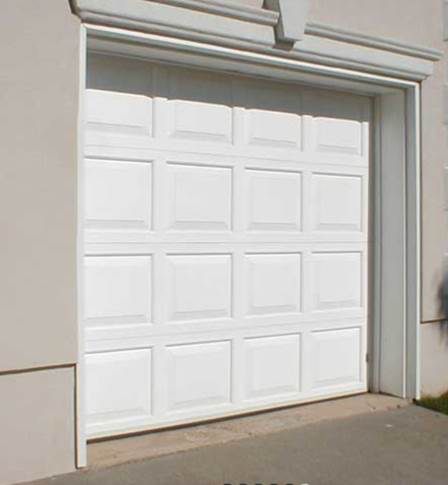 Avoid mishaps by keeping household items away from your garage doors. The month of June is a great time for Garage Safety Month. Families typically go on summer vacation with their kids while school is out. Your garage door keypad or garage door opener could leave you susceptible to a break in while you are away. 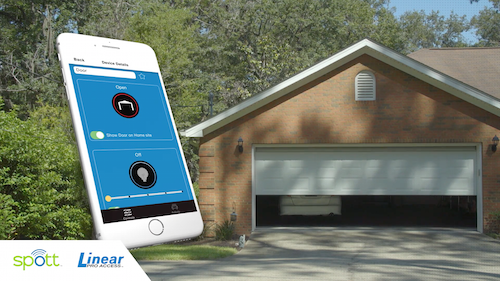 Systems like Vivint SmartHome has a garage door control system that operates by app on your mobile phone. If anyone forgets to close the garage door using the remote, you would be able to automatically close and arm your garage door using the Vivint mobile app. Security cameras can also be installed so you can see who approaches your garage door and when. You may have given your garage door keypad number to a loved one or gave a spare remote opener to a guest visiting your home. Not everyone is as cautious as a homeowner. There are WiFi enabled systems available so you can remotely let family members or friends inside your home through your garage. Remote garage door entry is great if you forget your key or forget to close your garage doors. It can also be helpful if your remote garage door opener stops working unexpectedly. We all know what it’s like when technology fails us at one time or another. During Garage Door Safety Month we emphasize keeping children away from the opening of your garage doors. If you have sports equipment inside your garage, it’s a temptation for kids to look for a ball or bicycle near your garage doors. Supervise small children and help them find what they are looking for to avoid things falling off shelves. If you have a very old garage doors take precaution and have them serviced while the weather is warm. Spring is a good time to test, lubricate, insulate, or paint your garage doors. Make sure your garage door operates smoothly. Oil hardware and tensioners to preserve your garage doors and create a safe home environment. You can remove rust from your garage doors, paint and seal them appropriately before the next winter season arrives. Okay, we just got the chills. For more information about Garage Door Safety Month in June please contact Christie Overhead Door. We have resources on garage door care and cleaning, security, remote garage door openers, garage door maintenance, and overall garage door safety. Happy Summer coming soon and may you all stay safe with the garage door safety month tips from all of us at Christie Overhead Door. This month you can win a new garage door valued at $750.00. You can nominate a friend, family member, neighbor or yourself. All you have to do is post a photo of your garage door on the Christie Overhead Door Facebook page and share a brief story of why you or the person you nominate should win. Once you’ve shared and posted your photo and story on the Christie Overhead Door Facebook page, ask your Facebook friends and family to “like” your photo to be nominated to win. Each like counts as a vote. The photo with the most “likes” wins the contest and gets to choose a new garage door to be installed on their Staten Island home! Depending on your opening, the garage door will be a raised panel garage door with no windows valued at $750.00 dollars. The photo of the garage door below is similar to what the garage door will look like. The garage door installation is included and will be performed by a Christie Overhead Door I.D.E.A. Certified Technician. 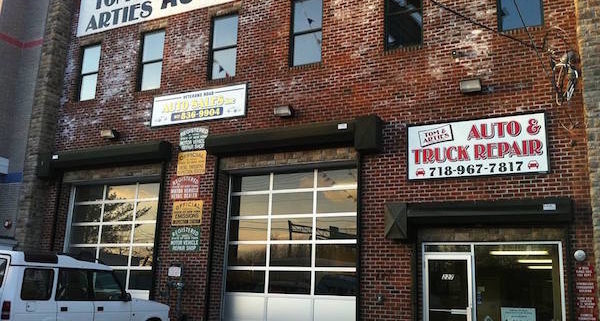 The Garage Door Give Back administered by Christie Overhead Door is only open to Staten Island residents. You must live in Staten Island to participate. The Staten Island Garage Door Give Back has also been posted on the Staten Island Advance website to alert the community. All photos and stories must be submitted by May 1, 2018 to be eligible. 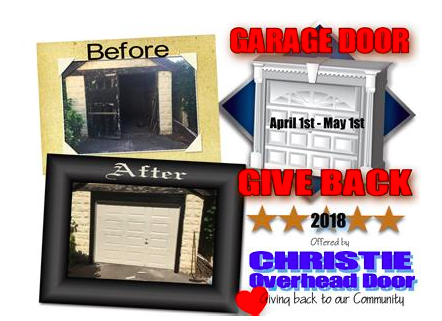 Voting will end May, 1, 2018 and Christie Overhead Door will announce the Garage Door Give Back winner via Facebook on May 2, 2018. Please sure to check the Christie Overhead Door Facebook page to see if you are a winner. Christie Overhead Door recently attended an Annual Garage Door Meeting and was inspired to offer this contest after speaking with garage door dealers located in Wisconsin. 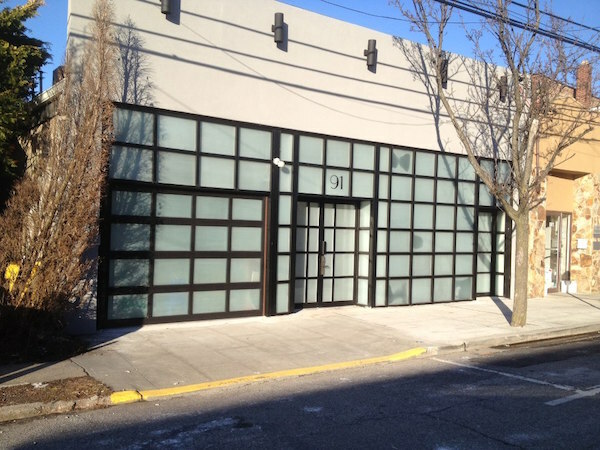 ” Why not try this great idea in our local Staten Island area,” said Owner, Andrew Cimmino. “Best of luck to everyone who participates and we look forward to announcing the winner next month.” If you have any questions about the Christie Overhead Garage Door Give Back please contact Christie or call 718-967-8858. Custom garage doors can have a tremendous impact on the look of your home. Depending on what style you choose, your home value can also increase. Selecting the best custom garage door for your home or office can be a challenge. Christie Overhead Door breaks down some of the custom garage door options available in Brooklyn, Manhattan, Staten Island and Long Island. Select the best material that would complement your outdoor façade. What would give your home or business the best architectural look? 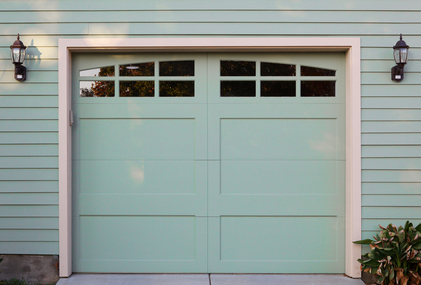 Wood, steel, iron, glass and aluminum are all great materials for garage doors. Take your curb appeal into consideration when selecting a new garage door. Once you select the material that looks best for your custom garage doors, you can choose from over 180 colors. There are many paints, stains and finishes available and Christie Overhead Door can help you make the right selection. After you have selected the material and have a garage door color in mind, think about the construction and performance. Many custom garage doors are available with energy-efficiency, thermal efficiency, and sound protection. Most homeowners and business owners desire quiet and smooth operation with hardware and hinges engineered for generations of use. Christie Overhead Door hires professional and certified garage door experts so no matter what type of garage door you choose, you’ll have peace of mind knowing the garage door installation will be done right the first time. All of these custom garage doors are installed by garage door technicians employed by Christie Overhead door. 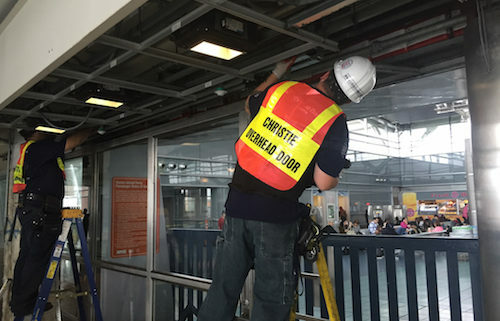 The Christie Overhead garage door technicians are not sub-contractors. Christie Overhead Door takes the security of your home just as serious as you do. Christie garage door installers are professional and skilled at the technical aspects of installing a complete garage door system no matter how complicated it may seem. Since most custom garage doors are large and sometimes heavy, it’s best to leave your garage door installation to an experienced garage door company. The risks of injury and problems that can arise in a do-it-yourself garage door installation are eliminated when you hire Christie Overhead Door. Selecting a quality and reliable garage door opener to go along with your door is equally important. Christie Overhead Door installs the top brands of garage door openers and keypad entry systems such as LiftMaster and Linear. You’ll want to make sure your opener and garage doors are installed by garage door experts for the best operation. For more information or to schedule a Free Design Consultation contact Christie Overhead Door. Traditional raised panel garage doors have stood the test of time. They are classic in both construction and design options. Panels can be short, long or flush depending on the style garage door you choose. You can truly make this garage door a style of your own. Traditional raised panel garage doors have a durable steel construction with multiple insulation options which is extremely important when it comes to energy-efficiency. Traditional raised panel garage doors are one of the best due to their flexibility in choosing glass option and they are very easy to clean. You can choose from many different factory paint finishes making it easy to customize the look of your residential garage door. Carriage House Garage doors have made the top 5 list for 2018 due to their stylish and fashionable look. Carriage House Garage Doors also have more than looks. They are very functional with the look of swingout doors, they still operate overhead like a standard garage door. You can have the best of both worlds with carriage house garage doors. 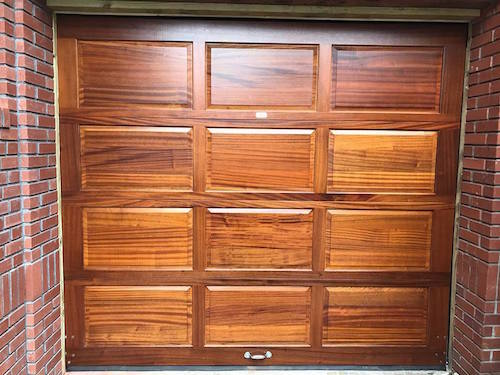 Overhead operation, multiple layers of insulation, decorative hardware, window options, and a choice of many composite and wood stains are just a few reasons to choose this garage door for your home. 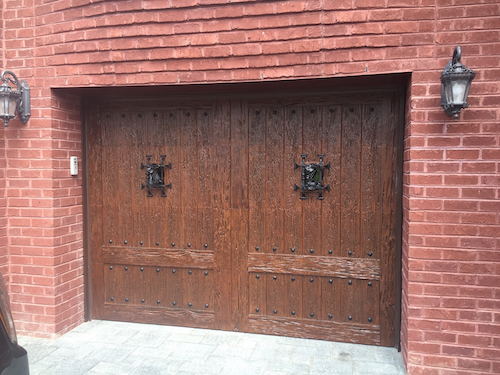 Many people love the architectural features or barn door look they can achieve with carriage house doors. If you love a modern look, contemporary aluminum glass doors may be perfect for your home. 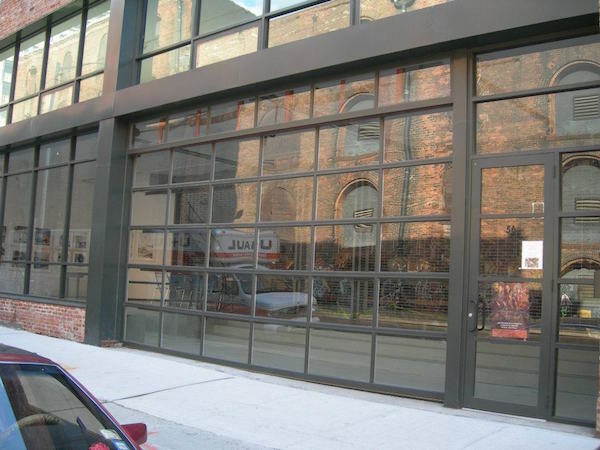 Christie Overhead Door has installed hundreds of contemporary aluminum garage doors throughout the 5 New York City boroughs. Contemporary aluminum garage doors have sleek, clean lines with light-filtering glass options for beauty and privacy. 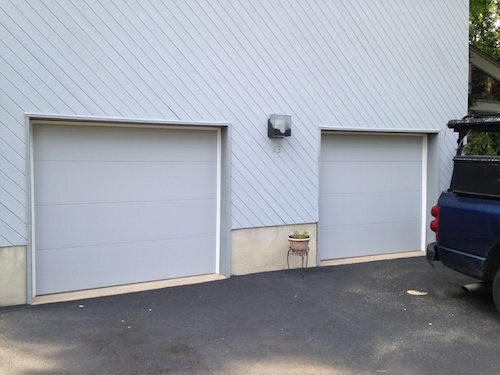 Modern aluminum garage doors have wide frame options suitable for three car garages. The frames are powder coated for anti-corrosion. Contemporary aluminum glass door frames come in over 180 different colors. Ornamental iron garage doors have become extremely popular in Staten Island, New Jersey, Brooklyn and New York City. In fact, Christie Overhead Door has designed two exclusive faux ornamental iron garage door window patterns perfect for the trending styles in New York City homes or businesses. You can choose an ornamental garage door design that compliments your façade. 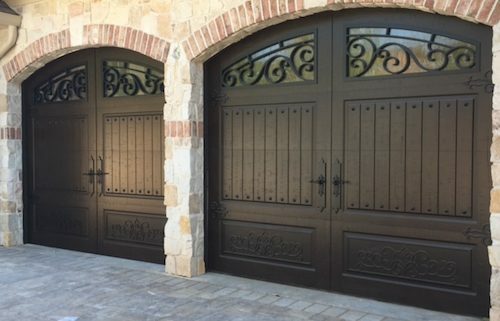 Faux Wrought iron garage doors add a unique feel to your home without the cost and inherent maintenance. Choose a wrought iron garage door pattern and one of our patented SCORRIMENTO glass designs for a unique look that can complement other aspects of your home. For example, ornamental iron doors and railings can coordinate with the look of your entryway doors and gates. 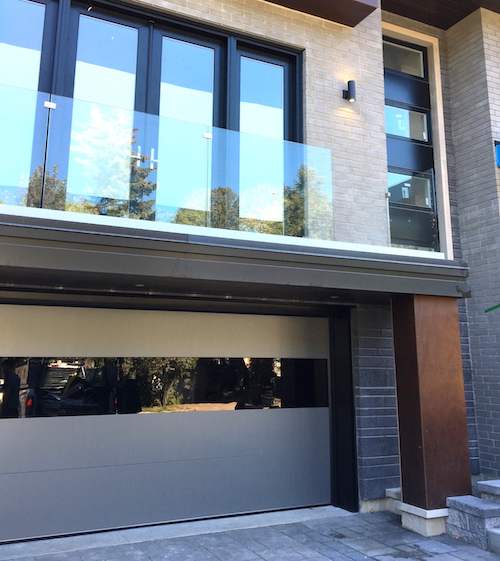 Full overlay Infinity glass garage doors made the list for 5 best residential garage doors in 2018. Last but not least, this Brand new “Infinity Glass” garage door design allows you to make the most of natural sunlight. Whether your home is facing the street, a backyard, or a patio, full overlay infinity glass garage doors are distinct and give your home an upscale one of a kind look. Infinity glass doors have a triple insulated steel frame behind the glass so you don’t have to sacrifice durability for looks. You can choose from many different glass tints to coordinate with the outside of your home. The custom Flush Smooth finish is new and unique from the typical embossed steel used for many years. Many powder coat colors are available to keep things interesting. Make a great impression on family, friends and guests with a full overlay Infinity glass garage door. For more information on the best residential garage doors for you home contact Christie Overhead Door. Christie Overhead Door is the premier residential garage door company serving the five boroughs and Long Island. 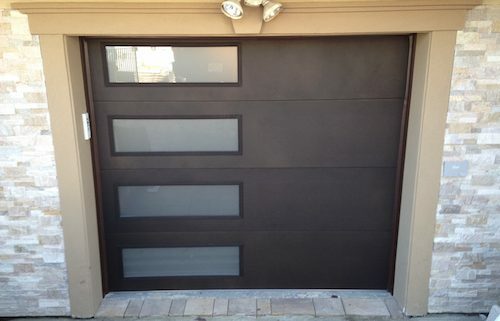 Call Christie at 718-967-8858 for more residential garage door design ideas and a free estimate. 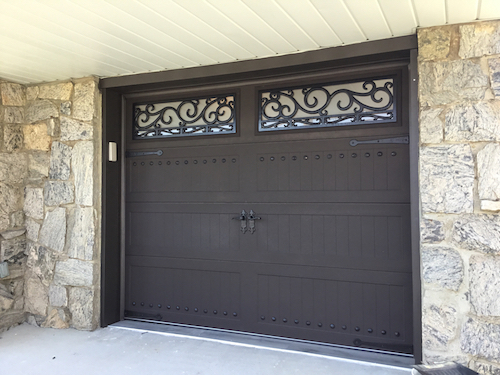 Iron ornamental garage doors are the latest residential home trend in the Northeast. 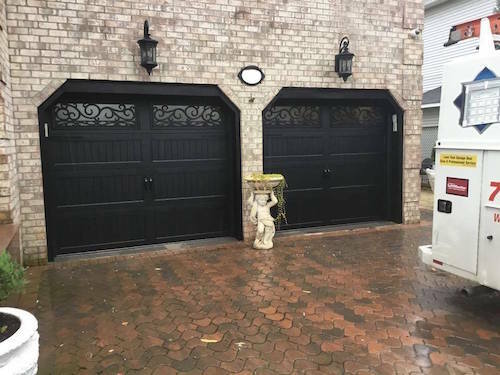 Christie Overhead door recently installed two iron ornamental garage doors in Staten Island and Brooklyn, New York. Mixing metal and unique designs is a trend Christie Overhead Door is deeply committed to in 2018. Owners of Christie Overhead Door, Andrew and Carla Cimmino, are always pushing the envelope in style and trends. Andrew and Carla strive to offer clients unique and elegant solutions at their garage door company located in Staten Island. 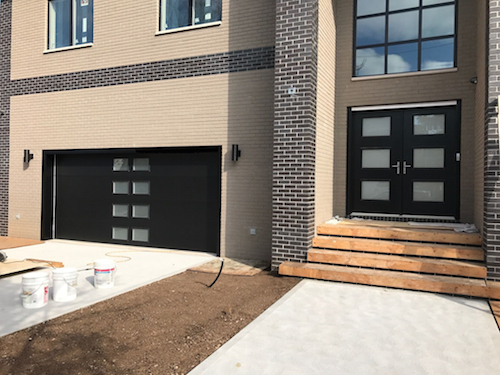 Recently, Christie Overhead Door designed two new prototypes to feature on new garage door designs. The prototypes will be fitted on actual garage doors in the month of December. Homeowners can expect to see the new designs on iron ornamental garage doors in the Christie Overhead Door showroom by mid-December. The new decorative garage doors are simply unique and beautiful. 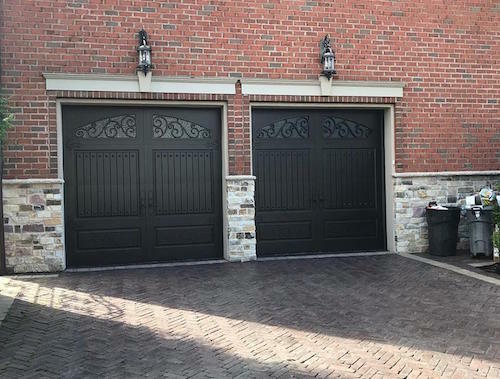 These residential garage doors will allow homeowners a distinct way to showcase their home and compliment their iron ornamental entry door for a fraction of the cost. Whether your garage doors face the street or if they are located on the side of your home, this design is noticeable to say the least. The new iron ornamental garage door look will make a grand design statement that will absolutely improve your curb appeal. Iron ornamental garage doors are very popular on the east coast. 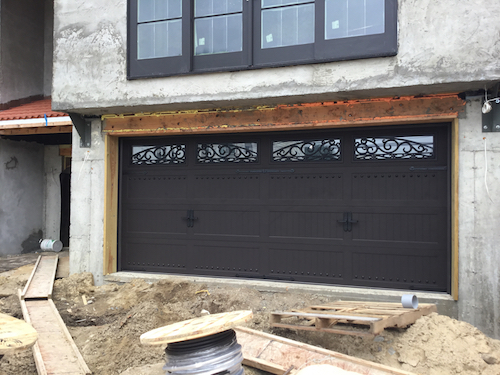 Andrew and Carla Cimmino saw an opportunity to offer exclusive new garage door designs to homeowners in Staten Island, Brooklyn, New Jersey and Long Island. “We are super excited to offer an exclusive garage door design that will elevate the look of homes in our local neighborhoods” said Andrew Cimmino. Christie Overhead Door is taking orders for the new iron ornamental garage door designs now for January 2018. Custom garage door orders can take up to 4-6 weeks for delivery. If you’re shopping around for new garage doors, make an appointment to visit the Christie Overhead Door showroom in Staten Island. The team at Christie will be happy to walk you through their design process. A garage door expert will help you select the best garage door for your home. The exclusive wrought iron garage door designs can be combined with wood and faux wood as well as steel, iron and aluminum for a great look on your home. There is nothing like the feeling of pulling up to your home and loving it! You can make the façade of your home look completely different from traditional wood garage doors, carriage doors, faux wood garage doors, composite wood doors and more. 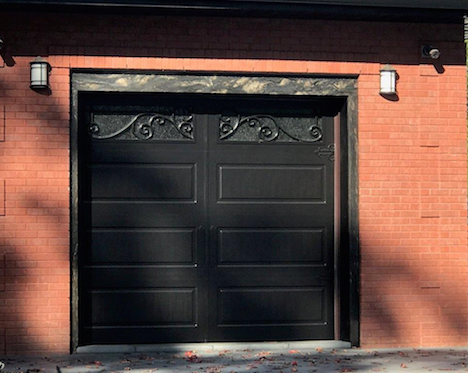 New iron ornamental garage doors are trending in the New York City boroughs. 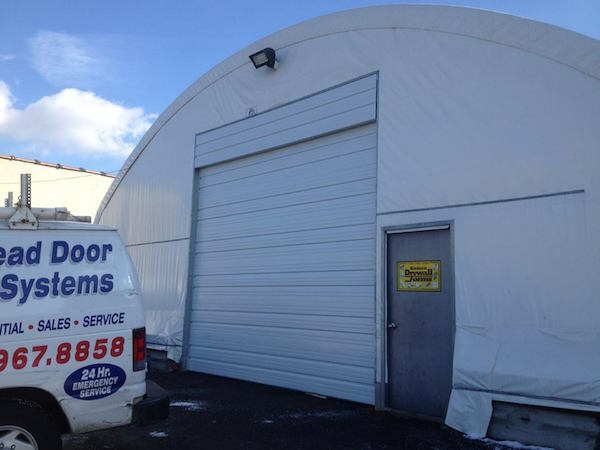 Contact Christie Overhead Door today for your free estimate. To see more garage door ideas visit HGTV. There is a lot to consider when selecting new residential garage doors for your home. If your garage doors are located in the front of your home, you’ll want to select a new residential garage door with a beautiful design to add curb appeal. Your budget is probably a key factor in your decision to buy new residential garage doors. If you have a small budget for your residential garage door, consider a garage door with a single layer construction made out of steel without insulation. These types of garage doors are ideal, if you are just looking for a secure place to store or park your car. New residential garage doors with multiple layers of construction and installation cost more but add strength, energy savings, and value to your home. You can reduce energy bills with an energy-efficient garage door that can produce up to an R=26.5 energy-effiency value. Garage doors with insulation are also more durable and great for noise reduction. Have a remodeling job happening before winter or need to replace an existing garage door? Christie Overhead Door offers the most custom options in the garage door industry. Christie provides a free residential garage door design consultation to help you choose a new garage door for your home. Contact Christie Overhead Door today for a free quote. Ornamental iron garage doors can make a great first impression on your Queens, Brooklyn, Staten Island, New Jersey or Long Island home. You really do only have one chance to make a first impression. Usually referring to social encounters, the same can be said about your home. What do people say when they first see your home? What does the appearance say about you? Do your garage doors make a statement about your taste and who you are? 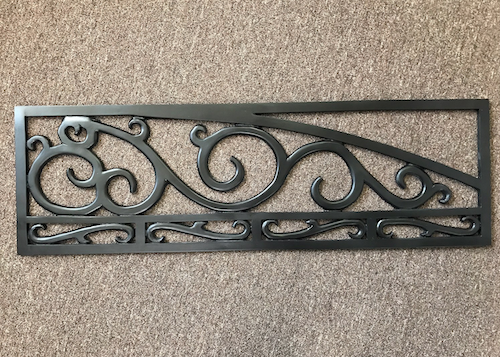 In most cases, a homeowner will justify the hefty cost of a custom ornamental iron entry door because of the impact it makes on the front of the home. An ornamental iron garage door is much larger and in most cases becomes cost prohibitive to make the same statement. Ultimately, homeowners will concede to a plain cookie-cutter looking garage door. What if you could make that same statement without the cost or tremendous maintenance that comes with a thousand pound ornamental iron garage door? What would your home look like with an ornamental iron entry door and an ornamental iron garage door? 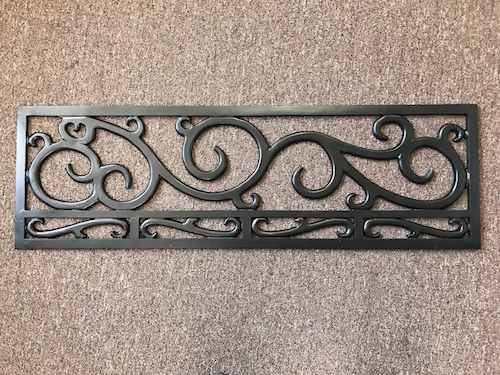 Ornamental iron garage doors stand out with custom scroll work and custom oil rubbed bronze finishes for an amazing look. Christie Overhead Door has spent years perfecting the look and feel of an ornamental iron garage door to match your ornamental iron entry doors without sacrificing the warmth or grandeur that an actual ornamental iron garage door deserves. Christie Overhead Door has developed faux iron ornamental garage door design patterns with your budget in mind. 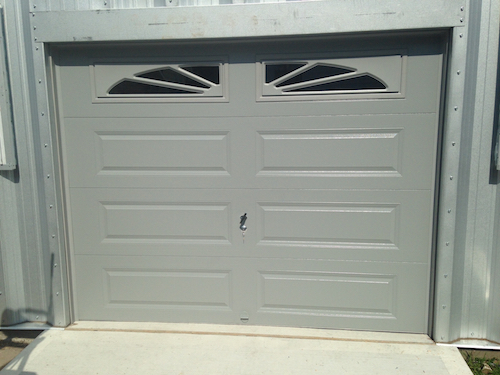 Christie Overhead Door currently has two custom iron garage door options to choose from. 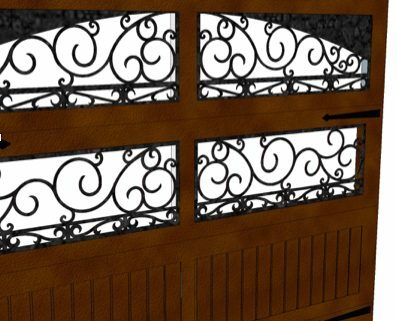 These faux ornamental iron garage door custom designs are exclusive copyright of the Christie Overhead Door company. Most real ornamental iron garage doors can cost $8000-$12,000 just to buy. Christie Overhead Door provides a cost-effective solution to owning a beautiful faux ornamental iron garage door starting at just $1999.00 INSTALLED. Christie Overhead Door will help you select a complimentary iron garage door at a price you can afford. Add beauty and value to your home today. Contact Christie Overhead Door for a FREE Ornamental iron garage door design consultation this fall!